Here's How Hrithik Roshan Connected With The Super 30 Students! Home BOLLYWOOD Here’s How Hrithik Roshan Connected With The Super 30 Students! Here’s How Hrithik Roshan Connected With The Super 30 Students! Superstar Hrithik Roshan who slips into the character of a teacher for the first time with Super 30, created a deep and warm bond with the kids that play his student in the film by engaging in conversations. As he plays the role of a Mathematician, the actor shot with the kids for a major part of the film. Hrithik wanted to ensure he develops a connect with the kids and hence he would ensure everyone around him is comfortable and would chat with them between the shots. Hrithik would often speak to them about his is own experiences and then ask them about their lives and their experiences. Superstar Hrithik Roshan is currently busy as he is gearing up for his next release ‘Super 30’ in which he will be essaying the character of a Mathematics teacher who prepares 30 students for a competitive engineering exam. Hrithik underwent transformation to essay the role of a mathematics teacher who grooms 30 kids for competitive exams IIT JEE. On the poster, Hrithik looks super intense and convincing as a teacher. The tagline reads as “Ab Raja Ka Beta Raja Nahi Banega”. Superstar Hrithik Roshan, who enjoys a tremendous fan base across the globe, recently interacted with few of his fans and revealed Interesting insights into Super 30 and his next with Tiger Shroff. Even before the makers released the official posters, owing to the immense excitement, several images from the sets were leaked that surfaced on the internet. 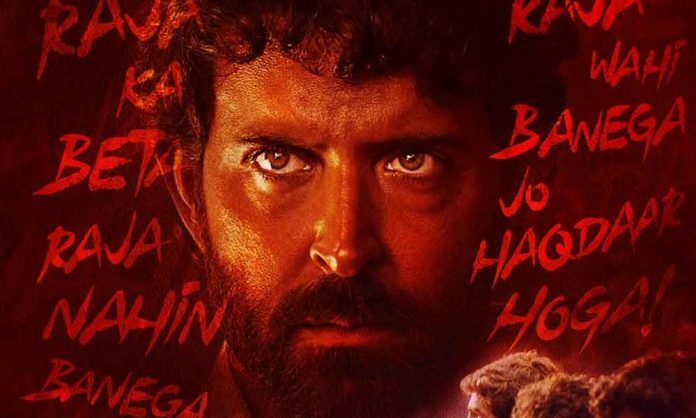 Hrithik Roshan who has earlier delivered stellar performances essaying varied characters across genres has yet again given the testimony of his versatility. The posters of the film added to the excitement of Super 30 as Hrithik Roshan posed with 30 kids who play his students. Releasing on 26th July 2019, Hrithik Roshan’s upcoming next is one of the most awaited films of the year.